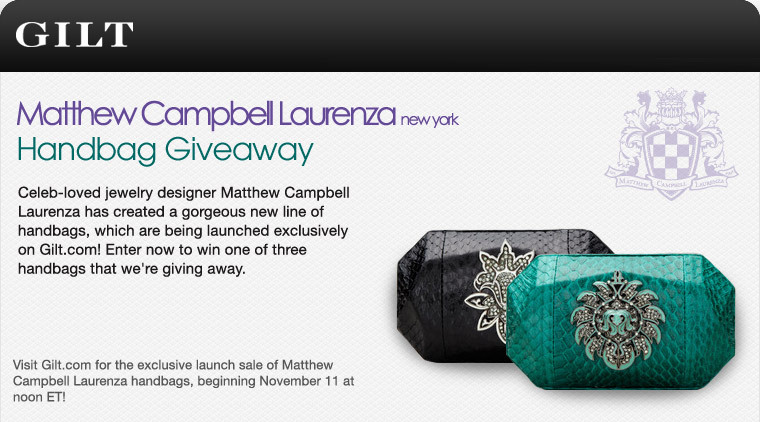 Enter to Win Matthew Campbell Laurenza Handbag! Enter to Win Matthew Campbell Laurenza Handbag! Ends tonight! « Small Business Saturday 11/26 – Support Local Shops! Plus $25 Credit! Awesome! can’t see the comment box box.